'Hill 112 - Hill 112 must be held at any price! '....the uncompromizing order from the Corps. 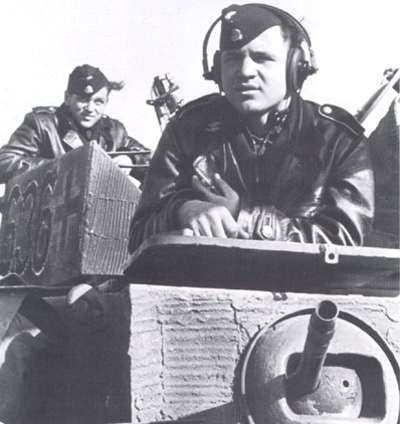 Panzer regiment Max Wünsche will move in and secure the position, in order to avoid enemy breakout to the river crossings of Orne. In the evening of June 28 the reinforcement finally arrive, making it possible to launch a counter attack: Three full SS Panzer divisions.... sounds promising! However, it stays by the promise: While several Panzer divisions are placed in total inactiveness in Holland and southern France, waiting for 'the other Invasion' (still believed to be the true Invasion by the Wehrmacht Supreme Command!) the OKW (Oberkommando der Wehrmacht) pulled the 9th and 10th SS Panzer divisions out of heavy defensive battles in Poland and transferred the units to Normandy. The shattered and worn out 1st SS Panzer division had been transferred from the Eastern Front to Belgium in order to reorganize and get back in shape. These three, far from fully effective units, made up the reinforcement!